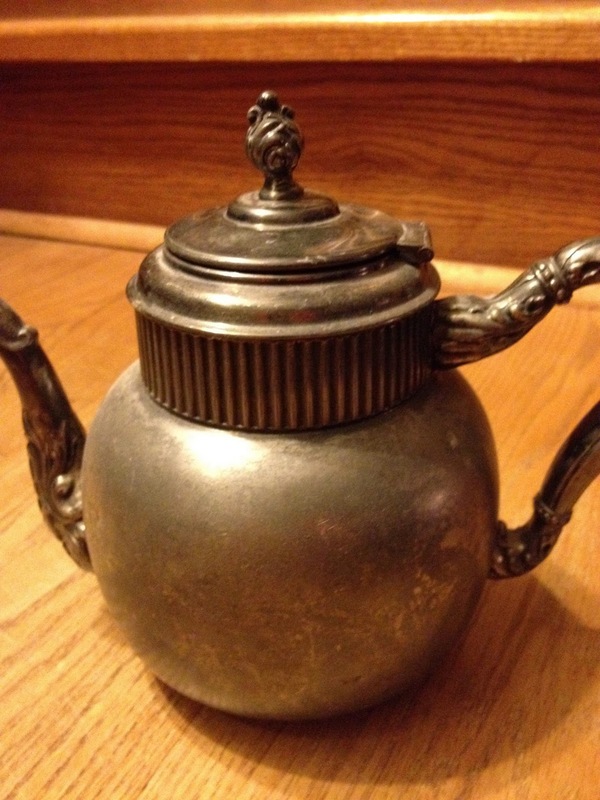 This lovely antique silver-plated tea pot is about 7 inches high and is very rare. 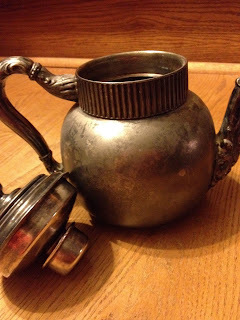 It is one of the first tea pots manufactured ca 1894 by the M.S. Benedict Manufacturing Company of Syracuse New York. 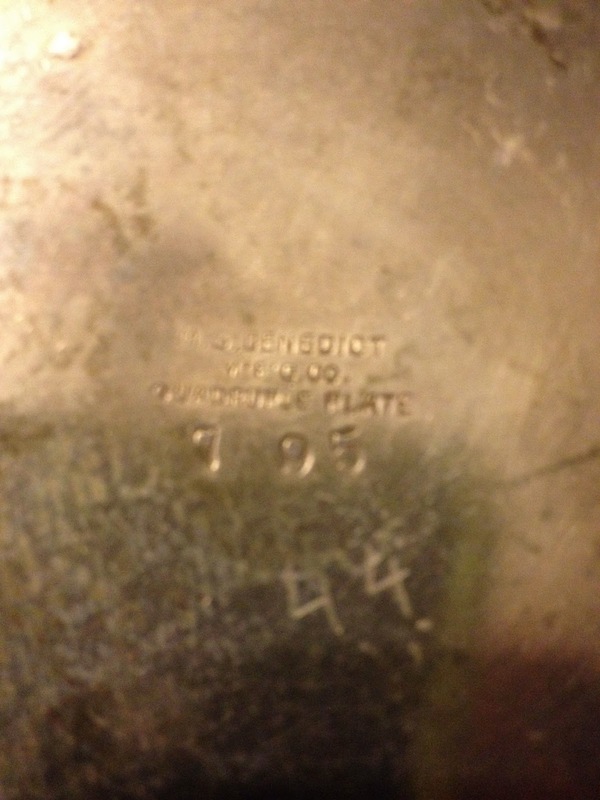 The bottom is stamped "M.S. Benedict Mfg. 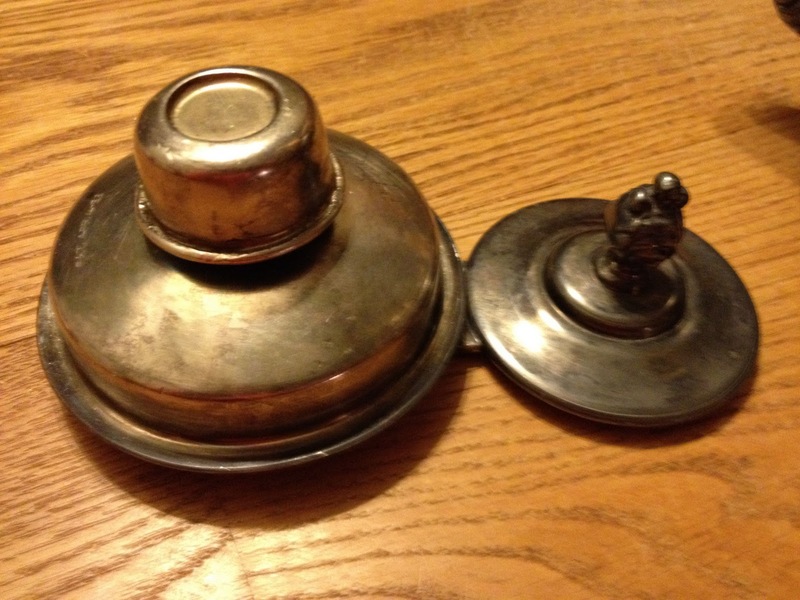 Co." "Quadruple SilverPlate" "795" and "Pat. Apr. 4-93"
Scratched by hand under the 795 is "44" Was it teapot number 44? We don't know but there must be some reason for that scratched in number. The teapot has an unusual "double" removable lid. When the lid is on the pot you can open the smaller top and there is a small opening, presumably to put your tea leaves in (no tea bags back then!). 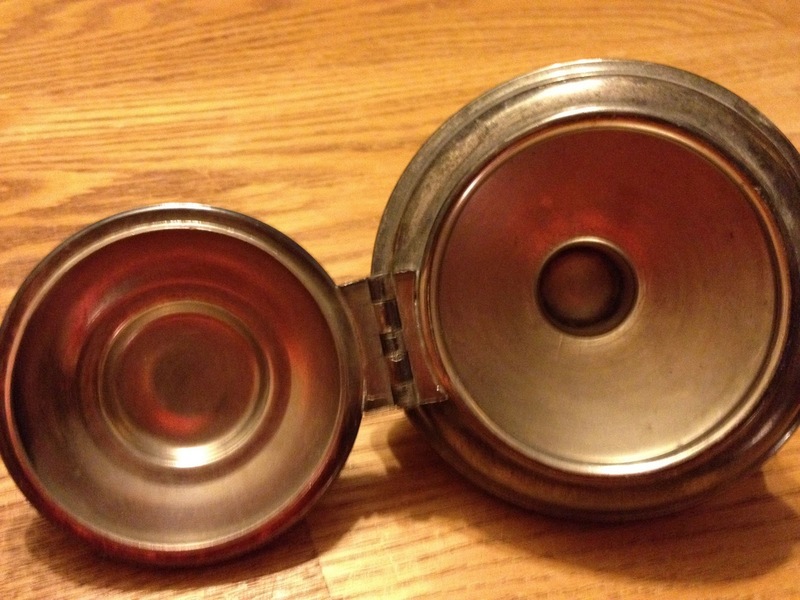 You can also remove the lid, almost certainly to pour the hot water in. The M.S. Benedict Mfg. Co. became the Benedict Manufacturing Co. in 1902 so we can date this beautiful teapot between 1894 and 1902. For $50.00 plus shipping this gorgeous antique teapot can be yours.